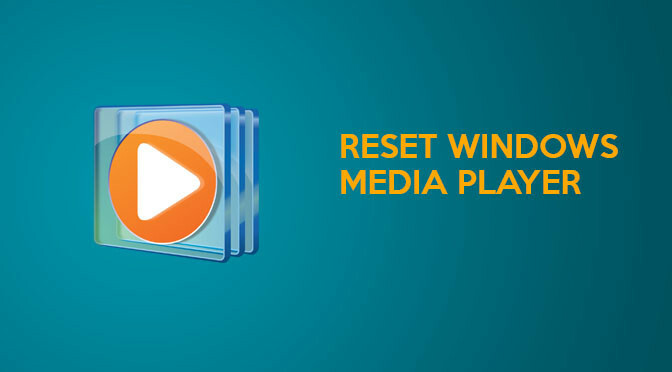 I have been having a lot of troubles with my Windows Media Player on Windows 7 but I found this cool trick that allows you to reset WMP12 back to it’s default settings. This might be handy if you are encountering any issues of your own. I have thrown to together a bit of a screen cast to demonstrate the process, it only takes about 30 seconds! Take a look below. (Change quality settings to at least 720p and full screen for better readability). couldn’t be that hard to come up with…. I had this same problem and googled “windows media player default settings” and found this page with the solution. I did it and all is well. I was not able to burn cd’s that would work, and at first thought I had a bad batch of cd’s but then remembered I had changed some of the rip settings and it made me wonder if I had ‘screwed’ something up. I still don’t know if I was responsible for it not working, but regardless, now all is fine. Thank you very much for the fix solution. Another way is to open wmp, press Alt H, go to the help screen and then type in “media player settings troubleshooter”. It will then give you the link for the troubleshooter. The first thing the troubleshooter will do is ask if you would like to restore the wmp to it’s default settings. Thanks a lot guys for this information..! The command is a pain to remember however..
Great fix! I made some changes to my WMP. At first everything worked properly, but after restarting the application, there was no audio. Your little “hint” get it working again. Point learned? Quit messing with stuff when you don’t know what you did. Thanks, I found this helpful. I like short and effective instructions. Copy. Start, run, paste, next. Done. Well done sir. Thanks alot!! Works like a charm! Great fix! Thanks for sharing! Perfect advice. My indexes were all messed up from moving videos around. This reset them. Thanks a million!!! I can’t believe how long it has taken to find this solution. Thank you! You deserve some kind of medal for this fix. Unfortunately none of the suggestions worked for me :(….even running the command line fix says it finds a problem, yet it does not fix it…any additional suggestions? Thank you so much I thought it was hopeless but you showed me how! this is works great !!!!!!!!!!! Windows Media Player still has all its original content, and I still can’t delete some files. I had the same problem and with the default configuration everything worked again. Requires a passkey provided by support professional. In the event that your corporate policy prevents the running of this troubleshooter, you can also drop to a command line and navigate to the folder wmplayer is in and type wmplayer.exe /resetall. The trouble shooter you mention was unable to start for me because of global policy object prevented it executing. Been having problems playing AVI files, tried this and also tried installing a codec pack, i have vlc player and realplayer and still cant play any films, anybody help? thanks.I was using media player classic and k-lite codecs and set exerything to also be used for windows media player.When I got rid of media player classic and k-lite codecs windows media player still had the changed settings and was messing up.This fix brought back windows media player to running fine again.You are the greatest. I found an easy way to reset WMP 12. 3. In the Menu bar click Tools>Avdanced>Restore Media Library. 4. Pop up will say “Continuing will empty your media library and close the WMP. Do you wish to continue? 5. Click Yes and your done! Yes, this command solved my problem. A specific user could not stream a radio and after that command and the wizard, the problem disapeared. my WMP 12 is doing the same thing and have tried all the fixes and it still continues to shut down. I wanted to “Organize>Layout>Show Menu Bar”, but under Organize it does not give that option!! Thanks! I had a problem when I added additional USB HDD’s and moved the originals to different locations on the hub and remapped drive letters. What happened was I tried to copy files from one of the original USB drives to a new one and kept getting “Could Not Find This Item” even though it was there. I remembered I mapped folders to WMP and because the drive letters changed, it was causing that problem — this fix fixed it, thanks! This is the truth. This simple procedure worked great for us. Thank you sir. Will this fix missing mp3 and mp4 video preview thumbnail images in Windows 7 Ultimate? I have tried a lot of different fixes thinking the problem was in Windows Media Player that were suggestions from different forums. Ran a lot of command line programs to check out the operating system and discs. Nothing worked. I even ran Tweaking Windows in safe mode. I used to transfer my mp4 files from my LG 5 phone with no problem to my Dell XPS L502X and be able to see a preview image in Windows Explorer. And they would play perfectly if I clicked on the image. WMP would open it no problem. Now WMP still plays them but there is no preview image only a Blue Music Note and a Piece of Film where the preview image should be. For no apparent reason I can think of my laptop quit displaying preview images for those video file types. It shows them for other video file types though. I see this has been a problem that has been cropping up for several years for other floks as well but with no actual “This Works Type Solutions”. Only a lot of different ideas of what to try to fix it with that don’t really fix it. Grrrrrr Frustrating. Well to answer my own question it doesn’t work to restore video thumbnail preview images. I tried all the suggestions and even did the one James posted December 13, 2011 at 8:39 am in Safe Mode. So if anyone has a different solution please post it. Next Next post: Which Edition Of Windows 10 Will Be Installed As Part Of Free Upgrade?